Friday was a beautiful day in Mobile. I love spring weather and this was definitely a spring weather day. I had quite a bit of work to do outside Friday morning so it was perfect. I had to reorganize the two front bays of the bus since we had it turned inside out trying to make sure it was dried out. After I had it mostly together I took this picture of the temporary water heater. Here are a couple of pictures of where we were parked at Foster Grove Church. 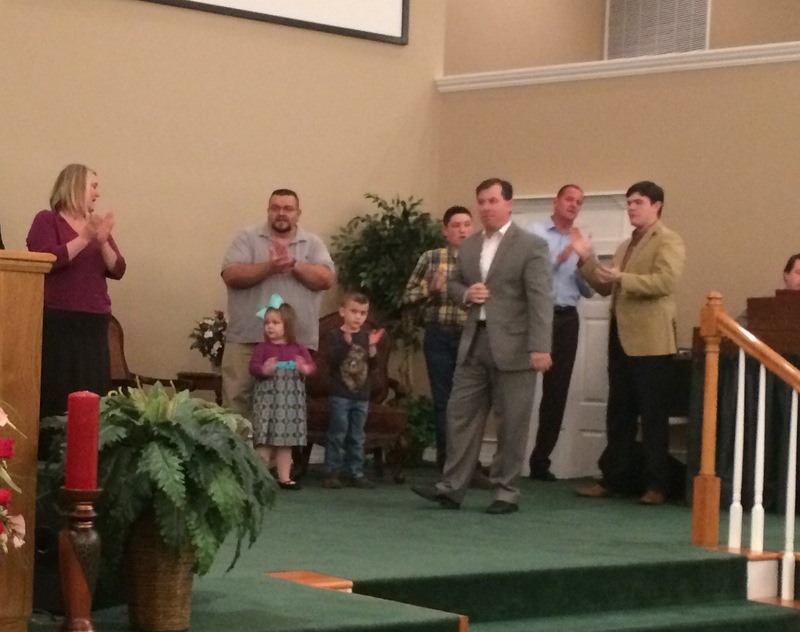 We had a great final service Friday night with Pastor Jimmie McDuffie and all of his folks. They are so good to us and we love being with them. After we were packed up we went out for one final time of fellowship with lots of talk and hugs all around. We had almost everything ready to go when we got back to the church Friday night so we hooked up the Green Machine and left for Ellisville. We left about 11:30 and about 111 miles and two hours later we pulled into First Assembly. By 3:00 we were unhooked, parked and tucked safely away for the night. Saturday morning we unloaded our sound system and set it up in the church. 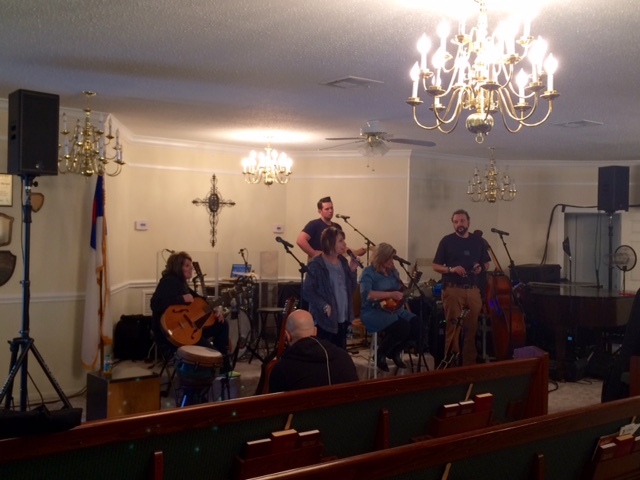 By 12:30 we were in the car on our way to Lusk Baptist Church north of Gilbertown, Alabama to hear the Isaacs. 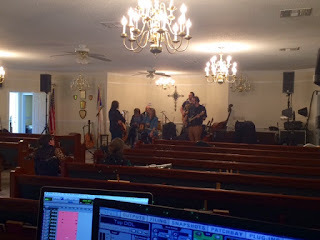 This was sound check in the nearly empty church but it was not empty for long. An hour before start time the church was full and by 6:00 it was jammed packed inside and many, many people outside. 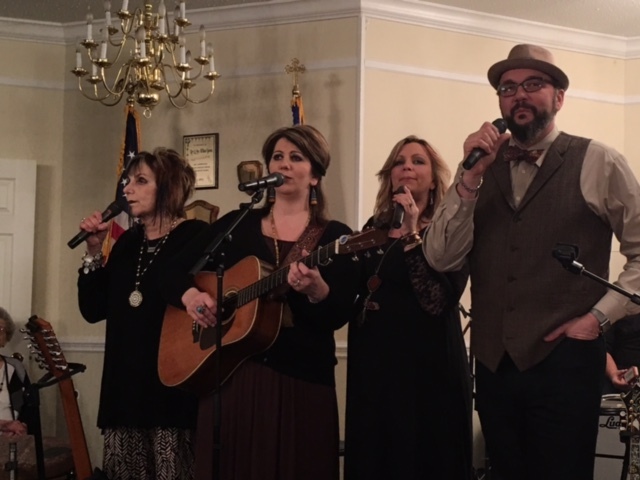 It was a great night of singing and we enjoyed it all. 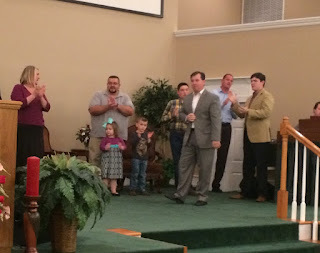 We love visiting with the Isaacs and enjoyed the service. I am sure there will be plenty of pictures from the night with Isaacs in next Saturday's post. We were back at the bus at a decent hour Saturday night in time for a good night's sleep. 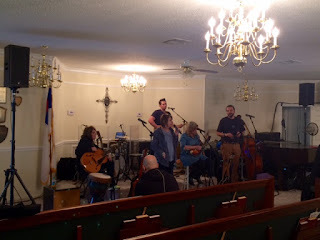 Sunday morning we finished the sound set up and settled in for a tremendous day with Pastor Kenny Morris and all of his people. The day included a great service Sunday morning, a wonderful dinner Sunday afternoon and another great service Sunday night. 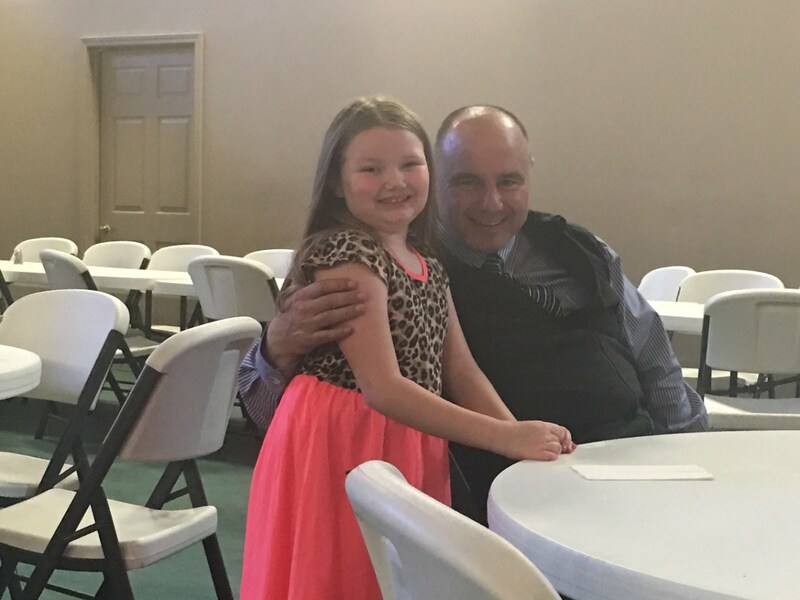 Not only did we have an outstanding day at church but we had two surprise visitors Sunday night that really blew us away. I will post more about that tomorrow. We have several pictures from Sunday. This first one is me with Bro. Jack Eubanks that I wrote about a week or two ago. Bro. Jack is 86 years old. Those are two little miracles singing in the choir Sunday at First Assembly. That wraps up our weekend. Thanks for reading.